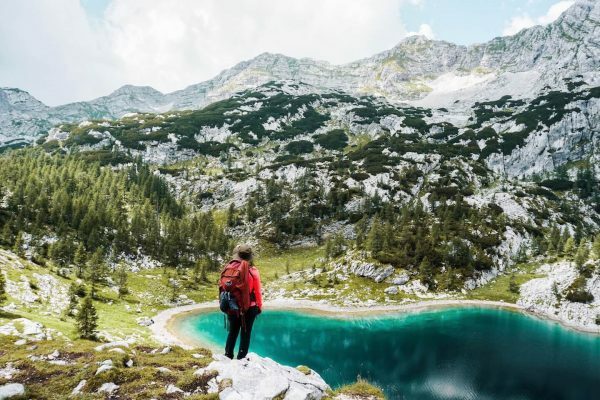 Nestled between Austria, Italy, Croatia and Hungary, this Central European country is an ideal travel destination for outdoor enthusiasts. 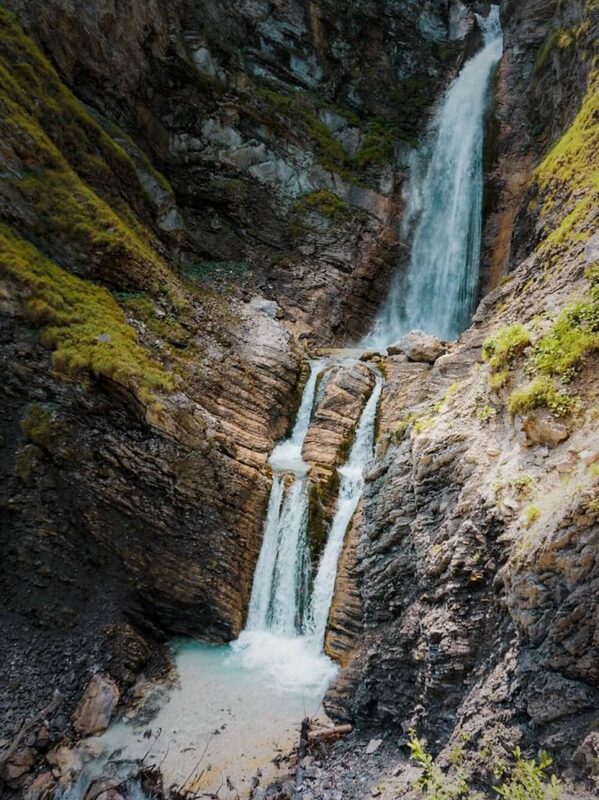 Slovenia is filled with turquoise-colored rivers, spellbinding gorges, majestic mountains, and alpine lakes. After hiking two weeks in the Kamnik-Savinja and Julian Alps, we were utterly moved by Slovenia’s spellbinding landscapes. 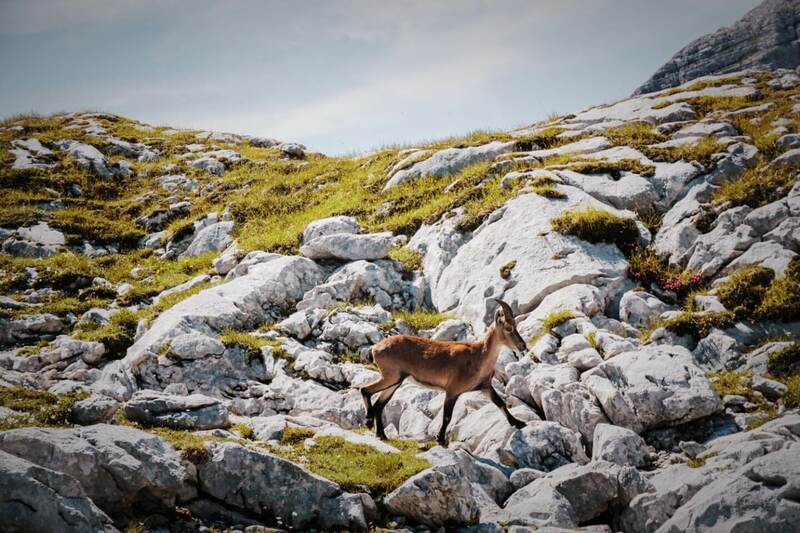 On the trail, we encountered grazing Ibex, edelweiss flowers, crystal-clear lakes, and the most marvelous limestone mountains. 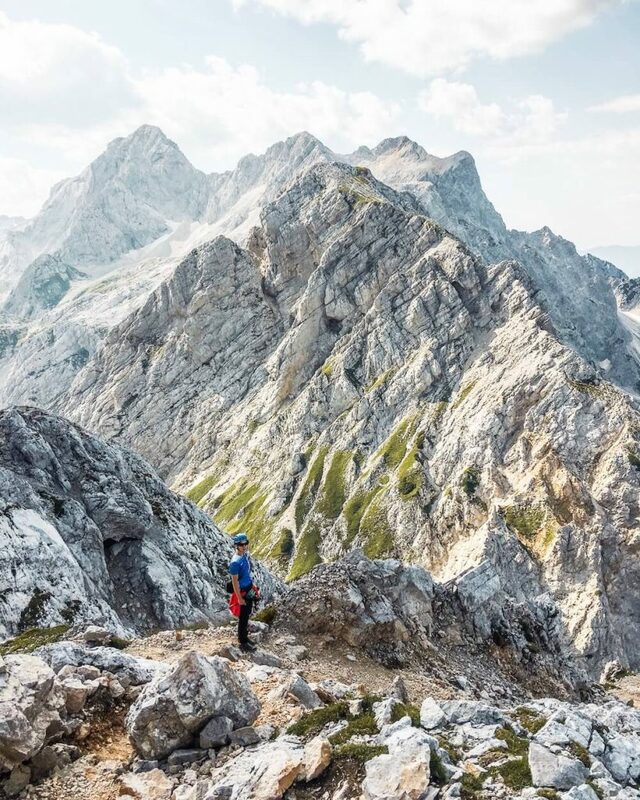 There are hikes suitable for all fitness levels in the Slovenian Alps. However, if you’re looking for a challenge, Slovenia will happily oblige you. Most people’s itineraries are limited to Ljubljana and Lake Bled. 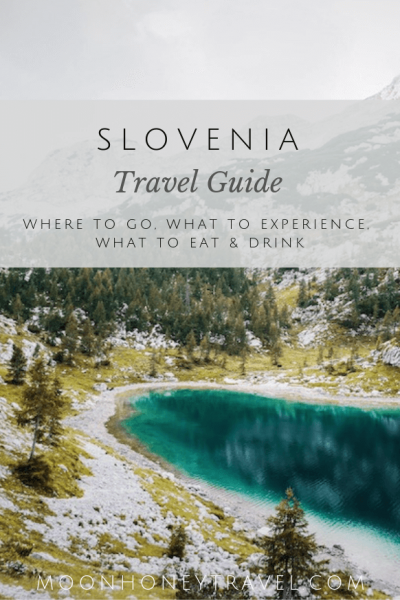 We urge you to read this travel guide to discover Slovenia’s most alluring landscapes and hidden gems beyond the well-traversed path. Most people will say that the best way to get around Slovenia is with your own rental car. If you want to see the mountains, coastline, wine region and the lakes of Slovenia, that’s definitely true. Here’s a guide about hiring a car in Slovenia. If you plan to concentrate your time in a certain area, public transit is reliable and punctual. We used buses to travel to and from Ljubljana, Kamnik, Zgornje Jezersko, Kranjska Gora, and Ribčev Laz (Lake Bohinj). Buses were always on time, clean, and easy to find. Use the AlpeTour website for bus schedules. Regions: In 2000, Slovenia was divided into 12 administrative entities for legal and statistical purposes. Language: Slovene is the official language of Slovenia. In several municipalities, Hungarian and Italian are recognized as co-official languages. German, Croatian, Serbian and Romani are also spoken in Slovenia. Tipping Etiquette: 10% on bills. Something Interesting: The cheapest ski resort in Europe is in Slovenia: Kranjska Gora. Click the dots to explore specific destinations. The map is best viewed on Desktop. 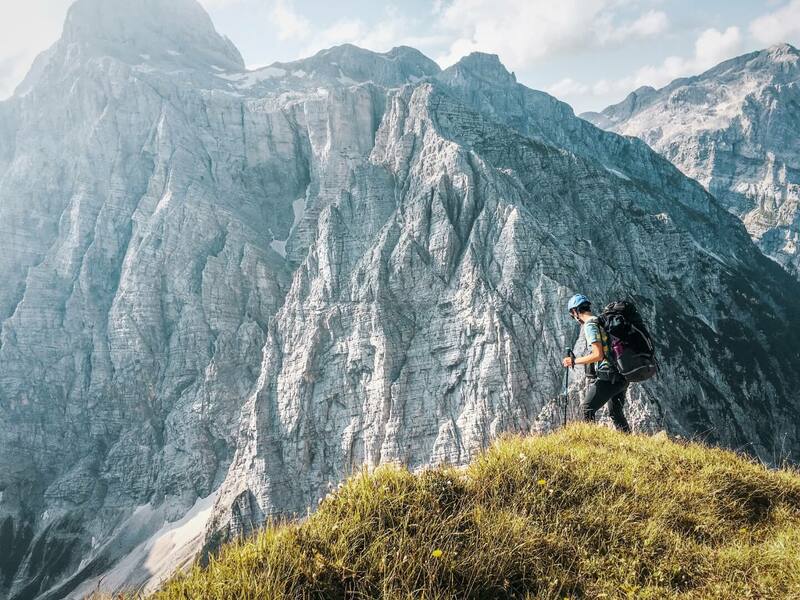 Imposing peaks, heart-pounding trails, perfectly situated mountain huts and the best views in the world. That’s how we’d describe the Kamnik-Savinja Alps (Kamnisko-Savinjske in Slovenian). This Slovenian mountain range is located in Northern Slovenia, close to the Austrian border, and about 1.5 hours north of Ljubljana. For some very mysterious reason, the Kamnik-Savinja Alps see very few tourists. Even in high season, there’s very minimal foot traffic on the trails. For the life of us, we can’t understand why. We spent 4 days traversing this mountain range from Kamniška Bistrica valley to Zgornje Jezersko village, sleeping in mountain huts (dom, koča) along the way. Here’s our 4-day trek itinerary. Kamnik Saddle (Kamniška koča na Kamniškem sedlu). Read about it here (Hike #1). The Czech Hut (Češka koča na Spodnjih Ravneh). Read about it here (Hike #2). Logar Valley has a lot of accessible hiking trails to explore. Velika Planina is a high alpine settlement with traditional herdsmen huts that are reachable by cable car. There are lots of trails around here. 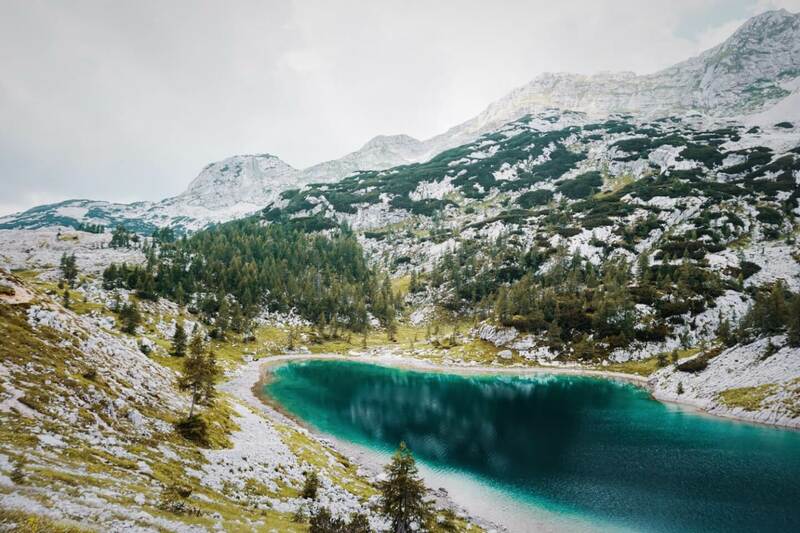 Triglav National Park is the largest protected area in Slovenia and covers an area of 838 square kilometers. This alpine wonderland encompasses a huge chunk of the Julian Alps (Julijske Alpe). The park’s name is derived from the highest mountain in Slovenia, Mount Triglav (2864 m), which is the mountain depicted on the Slovenian flag. The park is accessible from many different towns, including Kranjska Gora, Trenta, Soča, Bovec, Ukanc, Stara Fužina. So, there are infinite day and multi-day hiking options. We recommend Cicerone Walking Guide Julian Alps of Slovenia to find out what your hiking options are. We hiked hut-to-hut across the Julian Alps in 5 days. 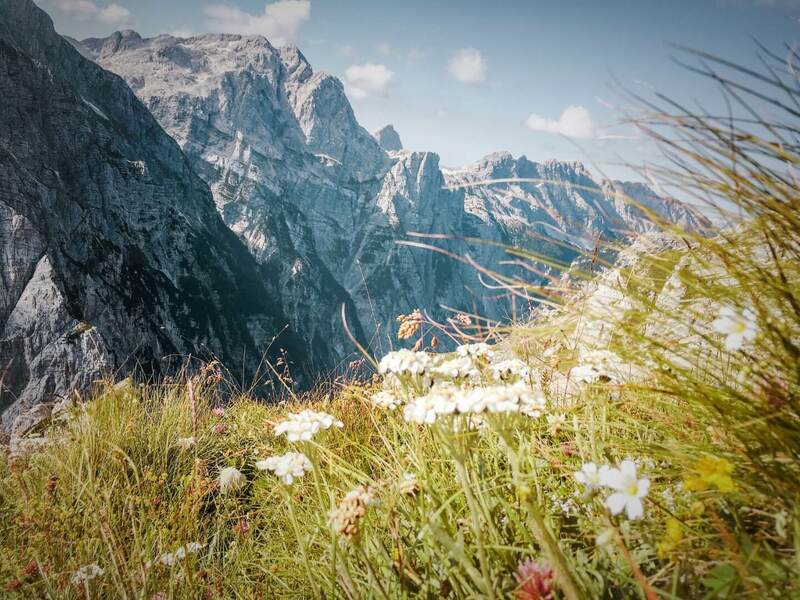 Read our Triglav National Park hiking guide. It includes our hiking itinerary plus info on where to stay, how to save money, and what to pack. Seven Lakes Valley. Read about it here (Hike #5). Koča na Planini pri Jezeru Mountain Hut. Read about it here (Hike #6). Kranjska Gora is an alpine resort town in northwestern Slovenia. It’s actually the cheapest ski resort in Europe! So, most people visiting this Slovenian town come in winter. If you’re visiting in summer, you’ll be happy to know that there’s a lot to do. With unbeatable views of the Julian Alps and its close proximity to Triglav National Park, Kranjska Gora is a great base for exploration. Read Next: How to spend a day in Kranjska Gora. Slovenia’s largest lake is the perfect destination for a summer holiday. With unbelievably clear and clean waters, even I (Sabrina) have no problem jumping in. Side note: I’m a wimp when it comes to water. Hike to Planina Vogar, a high alpine pasture. 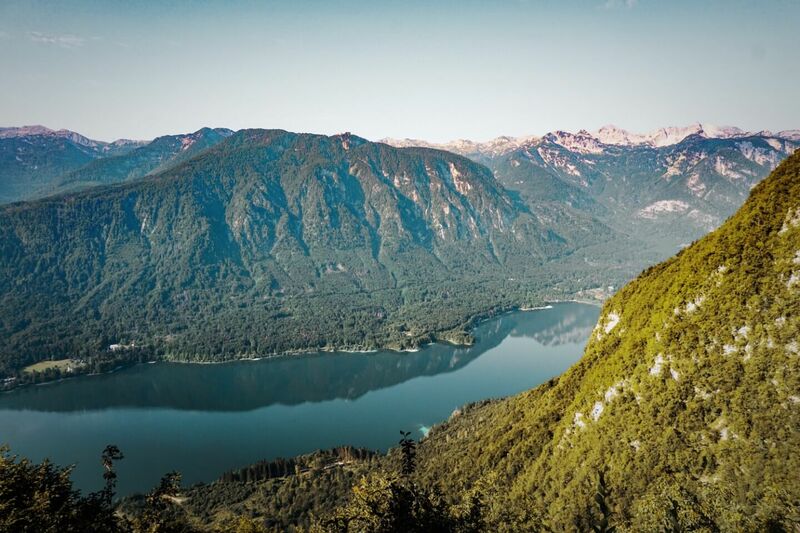 There’s an almost secret lookout point of Lake Bohinj, from the mountain hut Kosijev dom. Zgornje Jezersko is a small Slovenian village, located very close to the Austrian border. Come here if you want to get away from the crowds, glamp, or simply admire beautiful mountain vistas. Zgornje Jezersko may very well have the best view of the Kamnik-Savinja Alps. Walk to the beautiful lake Planšarsko jezero. At the lake, you’ll find the restaurant, Gostišče ob Planšarskem Jezeru. Hike to Češka Koča mountain hut for lunch in the Kamnik-Savinja Alps. Learn more about this hike in our post: Best Hikes in Slovenia (Hike #2). Take a walk in Ravenska kočna valley. We stayed the night at Glamping & Hostel Stara Pošta, which was delightful. 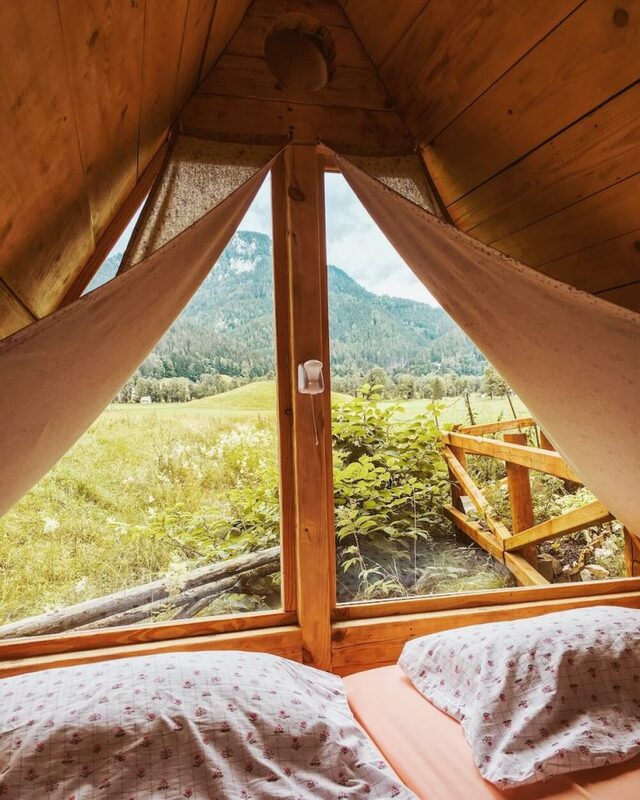 They have fun “glamping” A-frame huts to sleep in. Showers are communal but very clean. Breakfast is only 5 EUR. Our Slovenian food encounters were mostly limited to hearty stews and soups because we spent the majority of our time in mountain huts. 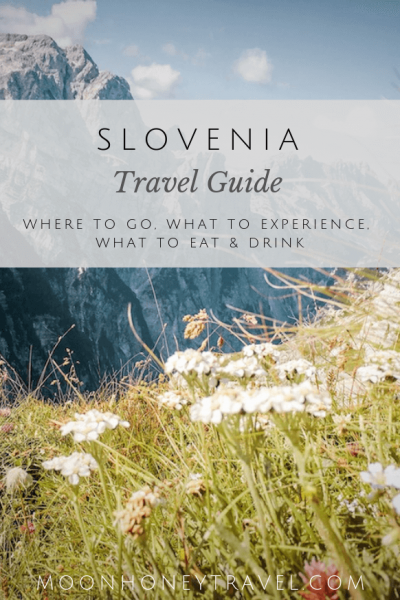 We noticed that the cuisine is heavily influenced by Slovenia’s neighboring countries. 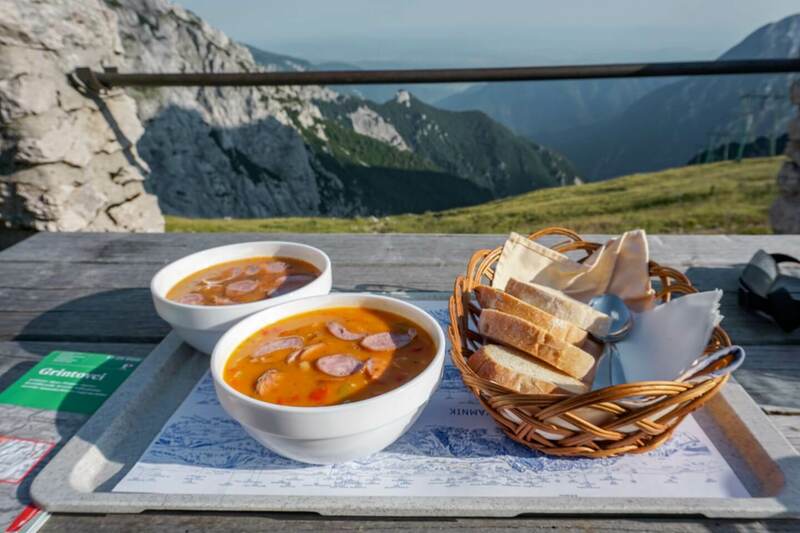 During your trip, you’ll likely eat dishes that were stereotypically Austrian as well as Hungarian and Italian. Ričet – Barley stew made with beans, smoked pork, or sausage. Jota – This is a thick stew made with sour cabbage (Sauerkraut) and beans. Kranjska klobasa – a sausage made with pork meat and bacon and spiced with salt, pepper, and garlic. 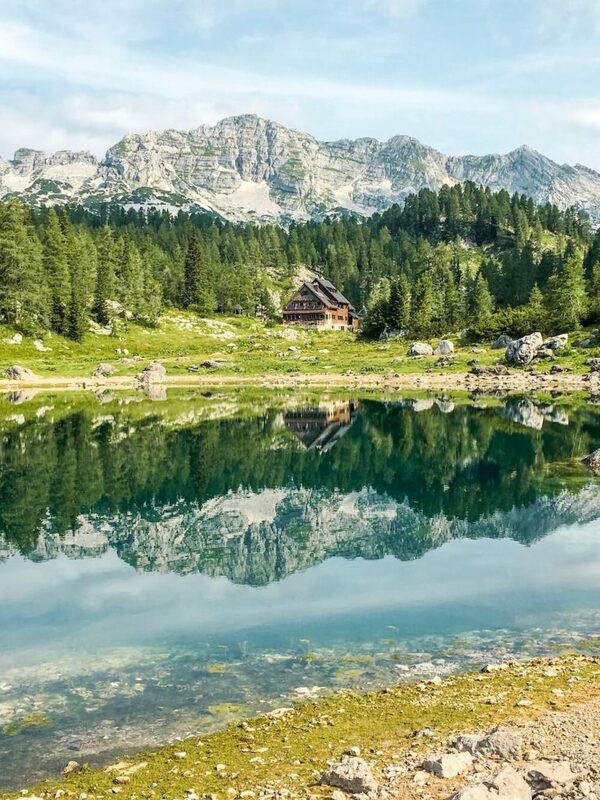 hribi.net – resource for all mountain huts, peaks, connections in Slovenia. The site needs a redesign, but it’s a reliable source of information for all things hiking and mountaineering in the Slovenian Alps. Start planning your trip with these helpful guides!